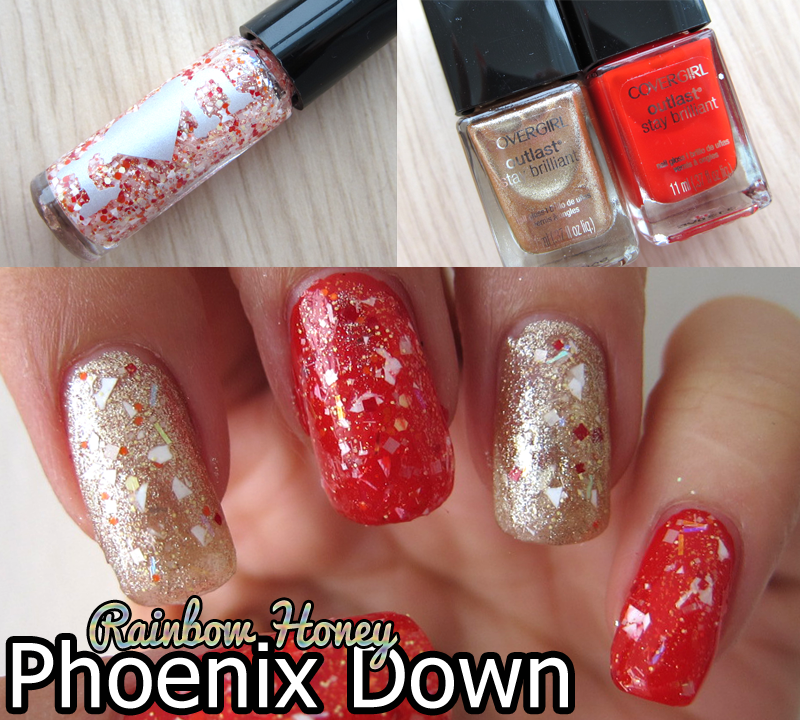 A long, long time ago, I received some Rainbow Honey minis to play with from NailPolishCanada.com! They are always so speedy with their shipping but I usually take a while to review/swatch things! Sorry guys! Doing some background checking on Rainbow Honey, I noticed I enjoy most of their top coat products as it can be super duper versatile and be matched with so many varieties to achieve different effects! Out of all of these, my fave polish is Rainbow Honey I Miss You and Rainbow Honey Magic Cake. 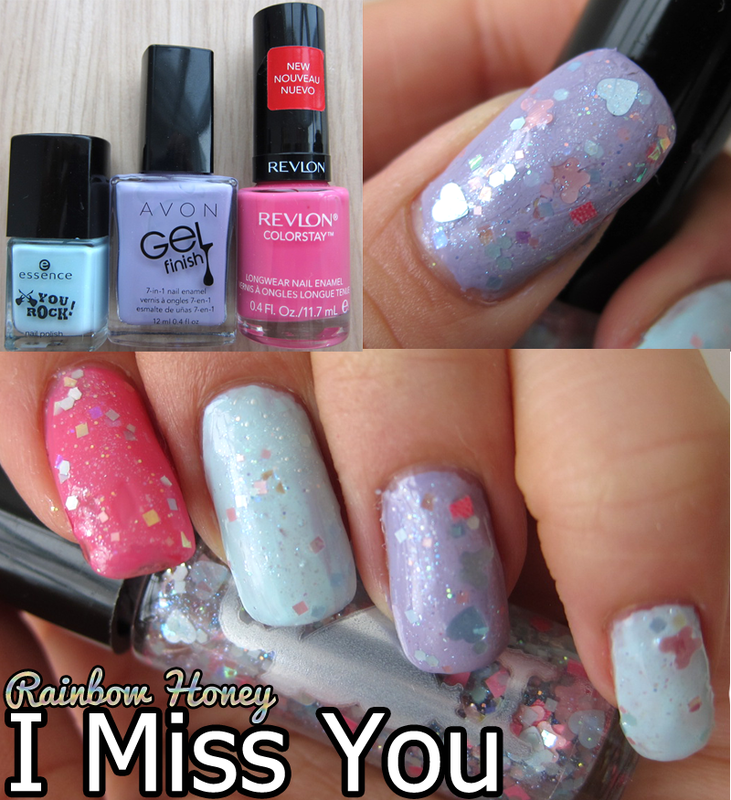 I find I Miss You extremely cute and looks great with pastel nail polishes. 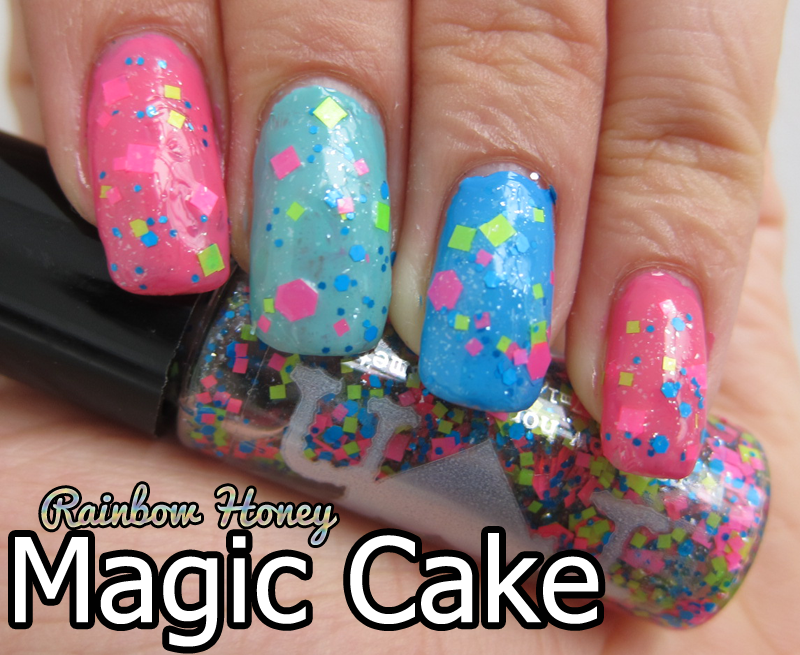 While Magic Cake looks super fun as pictured above, I found swatches online where it Glows in the Dark under UV Lights like in Glow-In-The-Dark Mini Golf Clubs!! Super cool!! 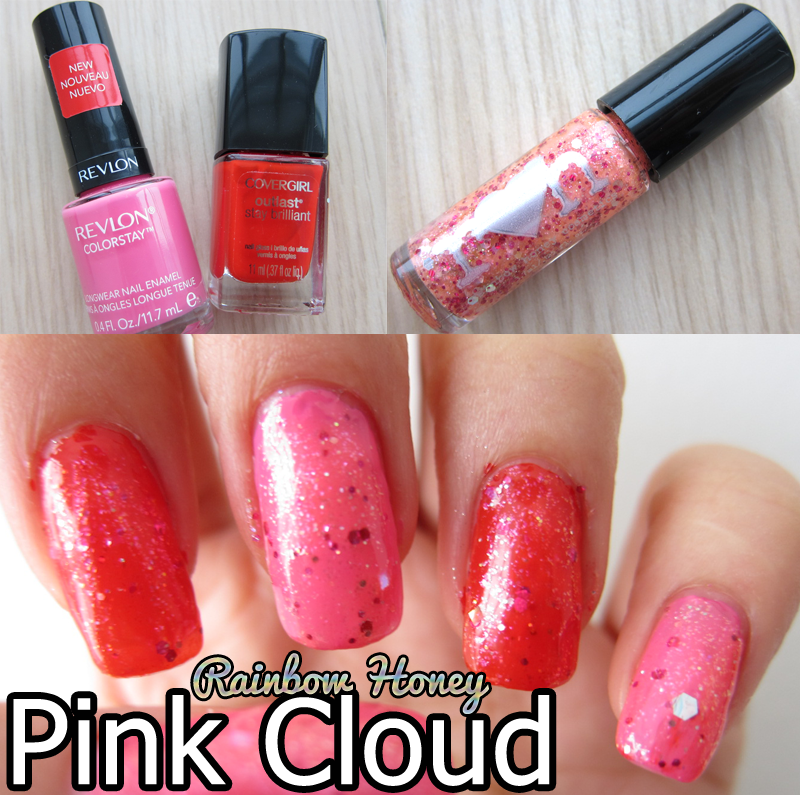 Have you tried Rainbow Honey's Nail Polishes? ?